Excitement exceeded all expectations in October 2018, when the Mega Millions jackpot reached a whopping $1.53 billion jackpot. It was on the verge of breaking the world record for the highest lottery jackpot, but in the end, on October 23rd somebody from South Carolina matched all the 5 main numbers and the Mega Ball. Since then, everybody’s been dying to know who the biggest winner of all times is. However, almost four months later, the South Carolina winner has yet to come forward to claim the legendary jackpot. When is the deadline for claiming the Mega Millions jackpot? According to the official Mega Millions rules, the last day when the South Carolina winner can claim the $1.53 billion prize is April 19th, 2019. With less than a month to go until then, the situation is getting increasingly tenser because there is a lot of money to be lost. Who loses if the Mega Millions jackpot is not claimed? What does it mean for South Carolina if the jackpot remains unclaimed? After the big Mega Millions win, the state of South Carolina estimated that the local winner would contribute with an enormous $61 million to the state budget. This amount was included in the budget for 2019, as the big winner was sure to come forward sooner rather than later. Should the jackpot remain unclaimed, South Carolina will have a $61 million gap in their budget. Then, the state’s Board of Economic Advisers will be expected to suggest the removal of this amount. To give you an idea of the state-wide importance of such an event, let us tell you that the income expected from the Mega Millions jackpot taxes is worth approximately 0.5% of South Carolina’s budget for lawmaker’s control. How much will the KC Mart lose if the Mega Millions prize is not claimed? The winning Mega Millions ticket for the October 23rd, 2018 draw was sold in a KC Mart in Simpsonville, South Carolina. According to Mega Millions rules, the seller of the jackpot-winning ticket receives a bonus worth $50,000. However, the prize must be claimed for the bonus to be delivered. What happens to the $1.53 billion if nobody claims it? 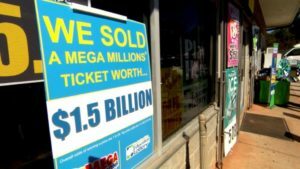 If the mystery South Carolina winner does not come forward in due time, the $1.53 billion will go back to the prize funds in each participating state of the Mega Millions lottery, as per the lottery’s official rules. For each state, the money from this particular fund go on to serve specific purposes. In South Carolina, the money would go to the education system. As you can see, there is a lot at stake for the claiming of the Mega Millions jackpot. It remains to be seen if the mystery ticket-holder will turn up until April 19th.